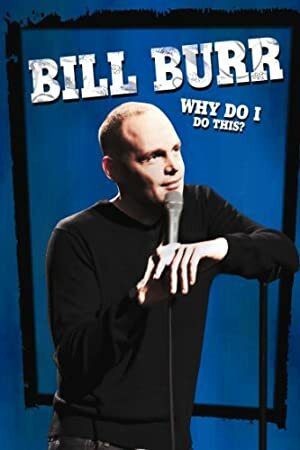 Bill Burr: Why Do I Do This? (2008) – What's New on Netflix Canada Today! One of America’s fastest-rising comedians, Bill Burr wields his razor-sharp wit with rare skill. You’ve seen him on Chappelle’s Show, The Tonight Show with Jay Leno, Late Night with David Letterman and HBO’s One Night Stand. In this brand-new stand-up performance, Bill takes aim at the stuff that drives us crazy, political correctness gone haywire, and girlfriends, or as he calls them, “relentless psycho robots.” A keenly observant social commentator, Bill Burr is also one of the funniest voices in comedy today.